Showing results by author "Sara Zeff Geber PhD"
American baby boomers are aging, and 15 million of them never had children. Who will take care of them? Unprecedented in US history, this demographic will create challenges for these individuals, as well as for society. This book is a passionate exploration of the path ahead for "Solo Agers". 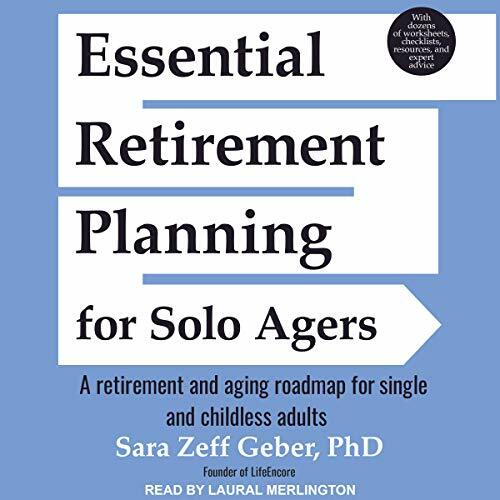 Author Sara Zeff Geber takes listeners on a journey, starting with the choice for childlessness and then suggests ways in which Solo Agers can mitigate the absence of adult children by relationship-building and rigorous planning for their future.